The city of Laguna Hills, located in southern Orange County, offers an ideal environment that features mild Mediterranean weather, lush green hills, impeccable views of the Saddleback Mountains, and premium homes. Laguna Hills real estate truly offers family living at its finest with homes that meet the needs of almost anyone, including luxury condominium living, exclusive gated community townhomes, quaint single family neighborhoods, and even a lavish equestrian community, Nellie Gail Ranch. Nellie Gail's finest privately gated English Tudor home. Located on a quiet cul-de-sac. $2,500,000 almost down to studs remodel.Hand cut stone, leaded glass, extraordinary woodwork, custom moldings, custom wool carpeting, Austrian crystal chandeliers, medallion set into polished marble floors.Ornate ceilings. Enchanting powder room and children's turtle bathroom. Bedrooms all have lavish en-suite bathrooms. Solid wood paneled office.Bonus room. This estate rest on more than 2.2 acres in Nellie Gail Ranch, set far from the street behind private gated area at the end of cul-de-sac. Dramatic 2 story entry accented by sweeping staircase, expansive family room features soaring ceiling and floor to ceiling brick fire place, extensive use of marble and gorgeous wainscoting and rich wood paneling throughout. Laguna Hills is a wonderful place to live the good life. Residents abide in beautiful, well-planned neighborhoods that have been created with pleasant living and convenience in mind. Ever since officially becoming a city on December 20th, 1991, Laguna Hills has offered some of Orange County's truly posh Real Estate residences for sale. 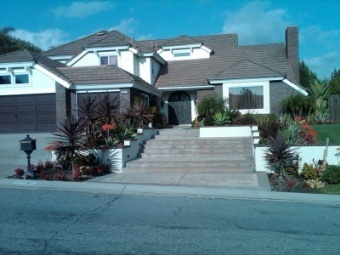 Laguna Hills Real Estate also features the aforementioned exclusive community of Nellie Gail Ranch. Nellie Gail Ranch offers homes for sale with luxury living at its finest with equestrian estates, gated properties, and lavish compounds. This prime location also provides miles of gorgeous equestrian trails, one of Orange County's most well appointed equestrian centers, riding and activity arenas, and a beautiful swimming center. It is a surprising fact that six out of the thirteen parks in Laguna Hills are located within the borders of the Nellie Gail Ranch community. Regardless of the neighborhood chosen, residents will find that there are a wide variety of outdoor and indoor activities available for folks in Laguna Hills. One can pay a visit to Fossil Reef Park (the only fossil reef in Orange County), which offers a full acre of dedicated prehistoric sites that are over 17 million years old! This is a fascinating and exciting learning experience for both young and old, alike. In addition, nearby Costeau Park has excavated over 42 species from the last Ice Age, which are now turned into an amazing park for visitors. The park has been designed and painstakingly established to preserve the thousands of fossils that remain buried beneath the surface. Residents may also take the opportunity to enjoy a visit to the historic Juan Avila Adobe, the former residence of the "don" of Rancho Niguel at what is now Laguna Hills. Families and residents in Laguna Hills are able to take full advantage of the community facilities that offer locations where they can play and enjoy a number of different sports. This option for activities is enhanced by a newer addition to the Laguna Hills area--The Sports Complex. This complex is comprised of a softball field, a baseball field, a soccer field, a skate park, a roller hockey rink, and even more! When it comes to athletic endeavors and outdoor excitement, Laguna Hills truly offers something for everyone. The Laguna Hills Eclipse Soccer Club is the premiere all-girls soccer organization in all of Southern California, and offers camps and competition for girls and young women. Other athletic teams abound in the Laguna Hills area, as well, including baseball with the Laguna Hills Little League program. The city also hosts the annual City of Laguna Hills Memorial Half-Marathon and 5K race, held each and every Memorial Day for the past eleven years. In addition, there are plenty of parks and open spaces where residents can relax a bit, sit down together for a nice picnic, or just enjoy the natural beauty of southern Orange County. 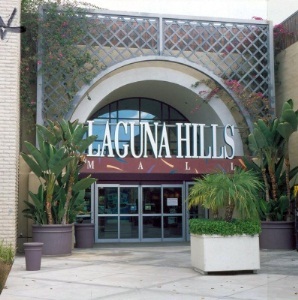 Shopping enthusiasts can enjoy the Laguna Hills Mall, a beautiful shopping destination that features a lovely fountain, many skylights, palm trees, and lush tropical foliage throughout. With restaurants and various shops available, Laguna Hills Mall has been thoroughly renovated for the needs of the community. 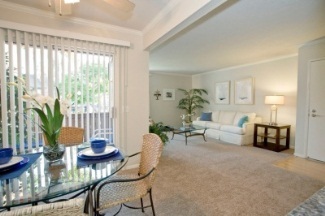 The beloved pets of Laguna Hills residents are well cared for by the community at large. Laguna Hills Animal Hospital is a full-service veterinary clinic and boarding facility designed to cater to the needs of pets from around southern Orange County. In addition, the city offers the Laguna Woods Dog Park (also known as "A Place For Paws") for residents and their canines to enjoy a bit of the outdoors. This small park is well designed and organized so that it is available to be utilized by smaller dogs in the morning hours (until 1:00 pm) and by larger dogs in the afternoons (after 1:00 pm). Laguna Hills is a part of the Saddleback Valley Unified School District (or SVUSD), which offers a number of public elementary schools for the younger students in the community. Laguna Hills features consistently excellent elementary schools. For children of the age to attend middle school, the public schools are either La Paz Intermediate School or Los Alisos Intermediate School, which is technically located in nearby Mission Viejo. The city has a public high school, Laguna Hills High School, which is both the smallest school in the SVUSD and one of the smallest in southern Orange County. This fact allows for more personalized and individual instruction of the students. There are also excellent private school options in Laguna Hills, including alternative schools for students with special needs. Preschool children will find a variety of educational options, as well, including Appletree Montessori School and other denominational and independent schools. The City of Laguna Hills operates one of the more technologically advanced libraries in Orange County, appropriately named the Laguna Hills Technology Branch Library. This library serves the community with modern advances above and beyond the average library, making it a valuable resource for students and almost any other resident. Medical care is excellent in Laguna Hills, with the highly regarded Saddleback Memorial Medical Center located directly in town. This medical center offers a broad spectrum of care including 24-hour emergency services, critical care, cancer and surgical specialists, diagnostic services, and even outstanding rehabilitation facilities. Private medical clinics are also located in the medical center area, covering the health care needs of residents all throughout the region. The medical center and adjacent health care buildings are easily accessible from the Interstate 5 freeway. If you would like further information or assistance regarding Laguna Hills Real Estate and available homes for sale throughout Laguna Hills, please contact the Laguna Hills real estate experts at Aaronson Group!